More than simply a coffee mug, these Firefighter Customizable Coffee Mugs make a bold statement about your favorite firefighter. Why not give everyone in the fire house their own Personalized Mugs as a great thank you gift for a job well done. 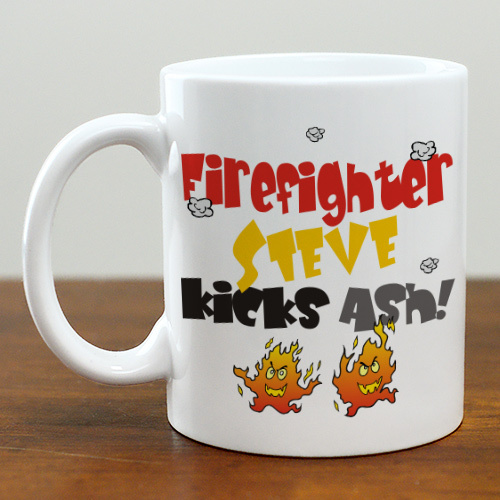 Our Personalized Firefighter Coffee Mug is Dishwasher safe and holds 11 oz. Includes FREE Personalization! Personalize your Firefighter Coffee Mug with any first name.